Poll: How much do you know about seahorses? It is a little known fact that seahorses are indigenous to the British Isles. 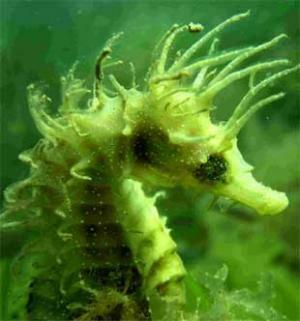 There are in fact two species currently inhabiting the coast of the islands, the Spiny and Short-snouted seahorse. But a recent study has indicated a dramatic decline in number of the tiny creatures. But why should we be worried? We spoke to Neil Garrick-Maidment, Managing Director of The Seahorse Trust, to find out. Studland Bay, Dorset has the highest concentration of seahorses found along the coasts of Britain and is currently the only existing natural breeding site for seahorses in the UK. This offers marine-biologists, divers and conservationists the perfect opportunity to research and observe them in their native habitat. But as of late, findings have not been positive. The number of Spiny seahorses discovered in the area has declined significantly, indicating Britain’s shores are currently in bad condition. 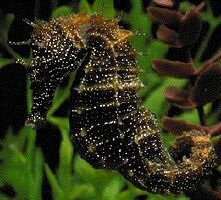 The Seahorse Trust, Britain’s only seahorse charity consisting of around 500 volunteers, found only 11 Spiny seahorses at Studland Bay by the end of 2011. This was an unusually low number, as previous years have seen up to 40 seahorses in the area at one time. But what is the reason for the sudden deterioration? 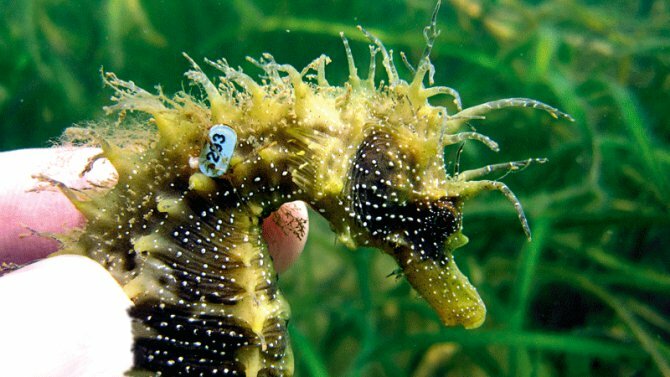 The way in which divers are able to calculate the number of seahorses at Studland is thanks to a unique tagging project set up by The Seahorse Trust. In order for volunteers to understand and learn to recognise individuals, as well as monitor what’s going on below sea level, seahorses have tiny tags placed around their neck. Seahorses above the length of 13cm, from the top of head to the tail, are given a tag, which provides an exact GPS location allowing the trust to monitor the seahorse whilst in shallow waters. Identifying individual creatures allows the trust to see who is partnering who, where they are moving to and whether specific pairs stay faithful. As well as tagging they use a photographic identification programme in which profile shots are taken in order to compare changes in an individual. During early spring seahorses migrate up from deeper water to shallow water for more sunlight, more habitat to live in and consequently more food. In the winter of 2010 going into 2011 there was a particularly long, prolonged period of coldness. With a lack of bright, sunny days there was nothing to promote a stable plankton cycle and in turn there was a lack of food for the seahorses to eat. Seahorses are a vital food source for many fish, including tuna. If seahorse numbers are declining, so is this food source. Although tiny, seahorses still play an important role in the make-up of the marine life cycle. But lack of plankton may not be the sole reason this number has dwindled. The natural habitat for Spiny seahorses is sea grass meadows, as it allows them to be close to the surface of the water and receive more sunlight. The UK has o.o1% of the world’s sea grass and as Neil explained, ‘it is disappearing at an alarming rate.’ Large sea grass beds exist along many of Britain’s coastlines but they are under major threat due to over fertilization of farms plus development and general run off from the land. But, in Studland’s case the main issue is caused by the sheer amount of boats docking at the site. In any one day during the summer period, Studland Bay can encounter up to 350 boats. As it is the only sheltered refuge available between Weymouth and the Solent, Studland is a prime spot to dock, but the constant mooring of boats and dropping of anchors damages the seahorses’ natural habitat. ‘[Studland] looks like a marine car park. If you have that quantity of boats using such a sensitive site then you run into problems’, said Neil. In the past, The Seahorse Trust have been accused of not wanting boats to moor at Studland but in fact they aim to find a compromise. Neil has put the suggestion of environmentally friendly moorings forward to the government. ‘These moorings would in one foul swoop stop all the problems that are occurring at Studland, so this is what The [Seahorse] Trust has been pushing forward from day one.’ They screw into the seabed and rise and fall with the tide without damaging vegetation. They are used in other parts of the world such as France and Florida but are known to be expensive. Run by two volunteers, the project will start with the collection of historic data of the island and will continue to focus on specific diving sites. This will allow The Seahorse Trust to locate where the population are and then ultimately tag them in the same way as they are doing in the British Isles. Neil said, ‘[The Seahorse Trust] are hoping to work with diving associations and Malta University. I grew up in Malta so I’m going back to my roots, where I first had an interest in marine life.’ The project will allow students to learn how to survey and tag seahorses in order to build up database of the Maltese herd, mirroring the work already occurring in the British Isles. If the project is a success The Seahorse Trust are looking to expand their research into further countries. Click here for a map showing the main Spiny seahorse sites around the British Isles.